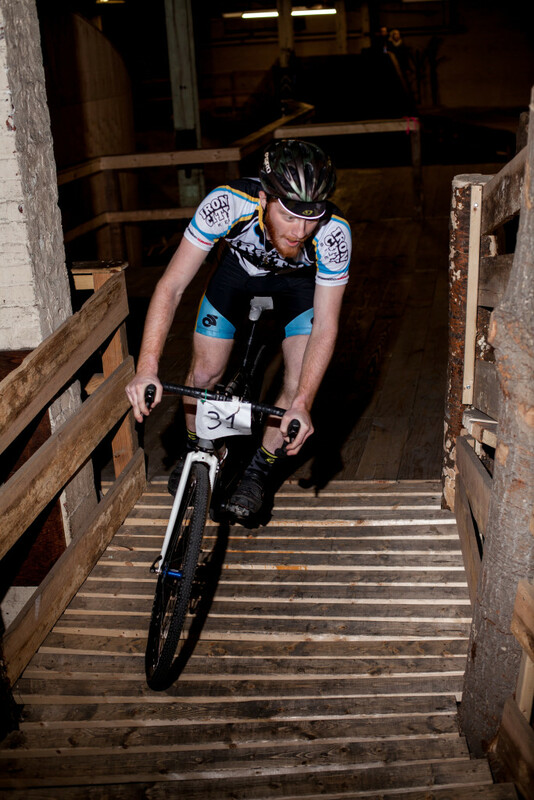 It’s March in Pittsburgh so that can only mean one thing, Cyclocross! 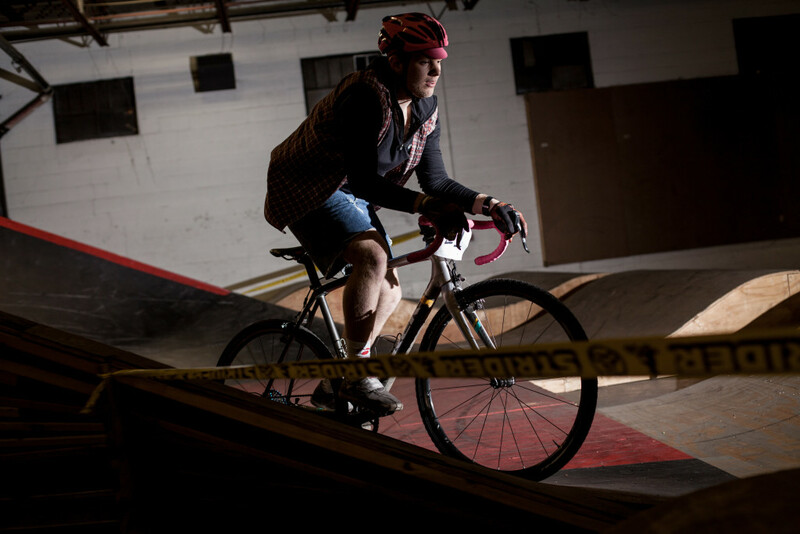 Yes March in Pittsburgh also means lots grey and rain and lubing your chain 4 times a day listening to the Smith’s waiting for another sunny day only to meet your mates at the cemetery gates to start your ride but this past weekend brought ‘cross racing to the ‘Burgh by way of BMX. 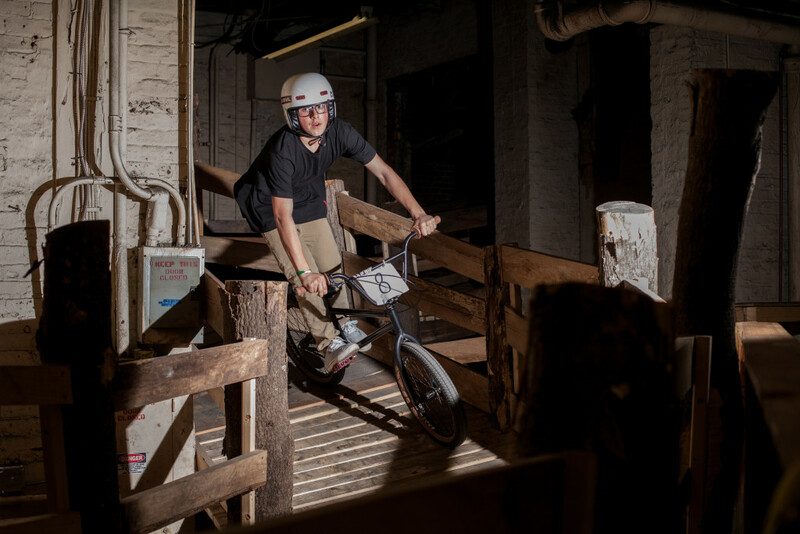 Pittsburgh has long been a place of notoriety in the world of BMX, and has been called home by a pile of amazing riders over the years. 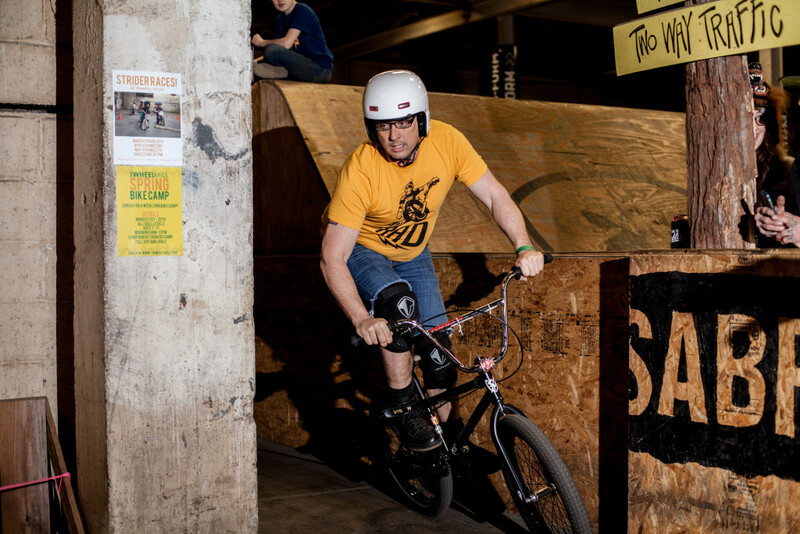 It is because of this large population of talented BMX riders here in Pittsburgh that we found ourselves inside the Wheel Mill Saturday night for the first ever Lumber Cross. 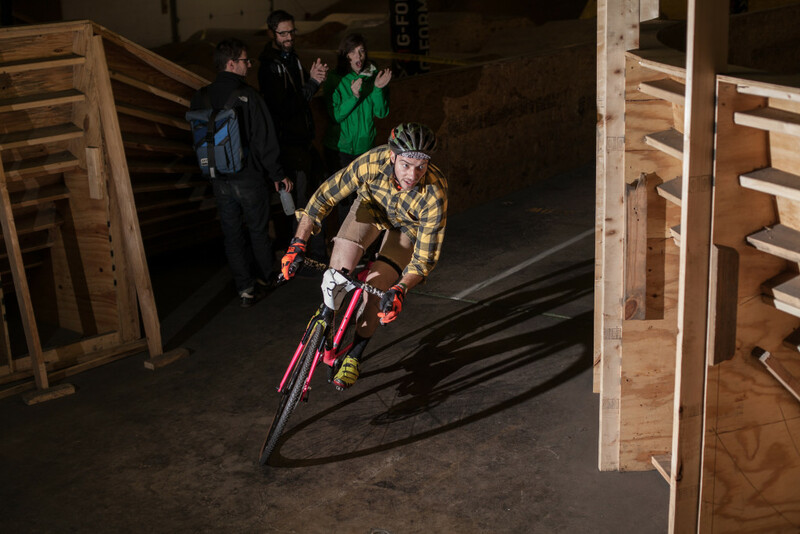 Now before the Cyclocross world gets it’s skin-suits all in a bunch, we are all aware that the Lumber Yard bike park in Portland has been doing these for a while, hence the events name paying tribute. The Wheel Mill opened it’s doors in the spring of 2013 and is a very large part of why this guy started riding a 20” bike when most men in my age bracket are taking up golf and home craft brewing. 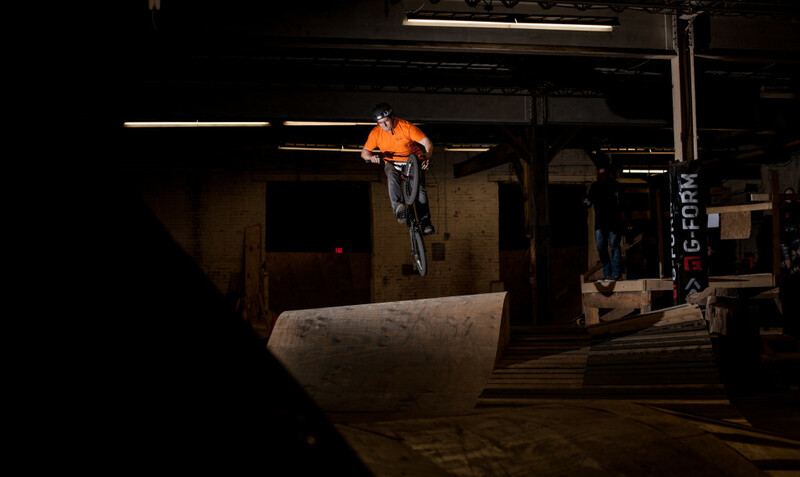 Owner Harry Geyer with the help of Mike and Mark Potoczny and countless other riders and craftsmen created a home for Pittsburgh-based riders to escape the dark and cold days. 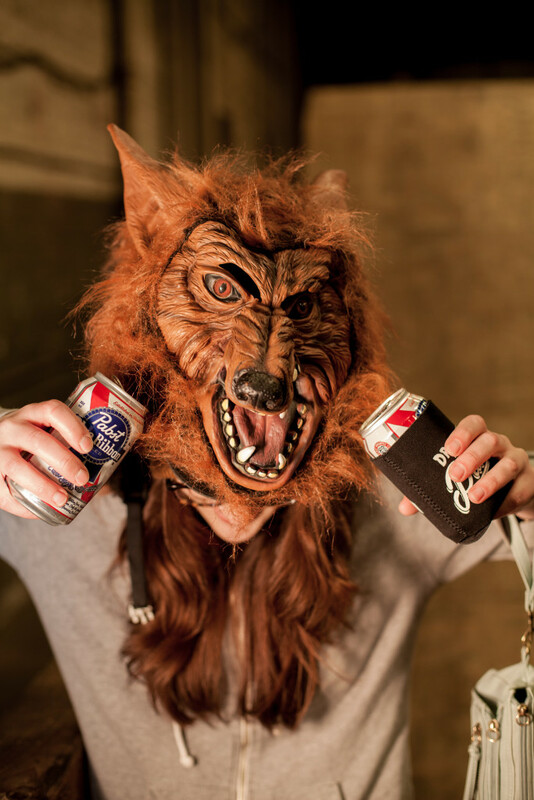 Since opening it’s doors, the Mill has helped groom some of the best young talent. 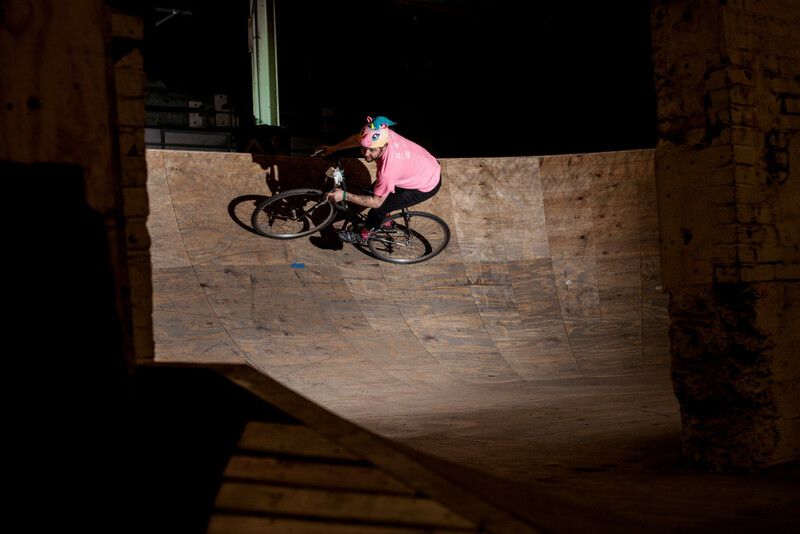 Riders like Mason Ritter, Tyler Valentik and Cameron Girvin log in some long hours perfecting tricks there. You may also find yourself bumping into legends like Chris Doyle, Brian Yeagle and the owner of the X-Games vert contest Jamie Bestwick. But enough about BMX, for the time being, this event was about cyclocross. As much as Lumber ‘Cross was a chance to hangout and have some fun on a Saturday night, the racing was good and fast, racers were breathing hard and the laps were just long enough to make it really hurt. 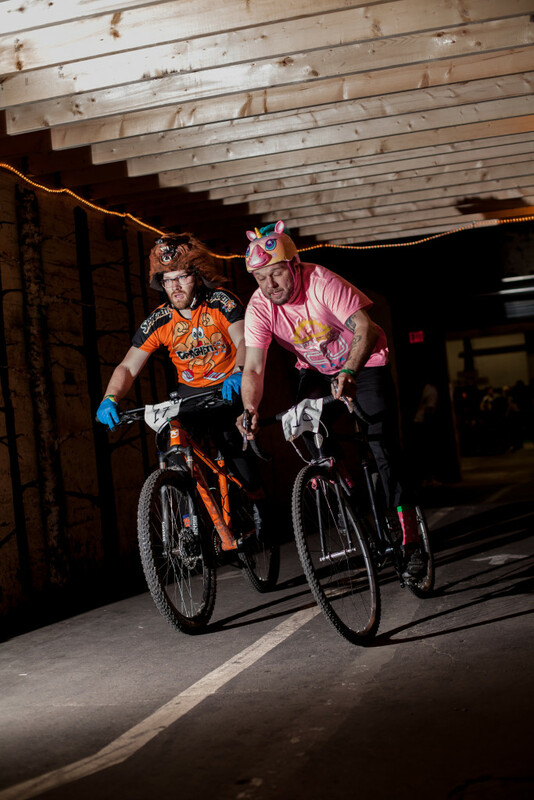 Riders raced in heats, groups of four set off on two laps around the park where you sprinted down long cement hallways, over various obstacles and a foam pit that was reminiscent of the shark tank during the Single Speed World Championships that were held in San Francisco in 2011. As much as speed played a role Mike Potoczny showed that skill was key, bossing a bunch of bike racers in his first heat he had time to work in a little style over the box jumps. I’ll say this much, if Mr. Potoczny put in a training block he would be a hell of a ‘cross racer. Lumber ‘Cross as far as I could tell was a success, people were smiling, there was a section of aggressively friendly hecklers, beers were drank, bikes were raced, it felt very much like a true cyclocross race, and most importantly two groups of riders came together for the event. 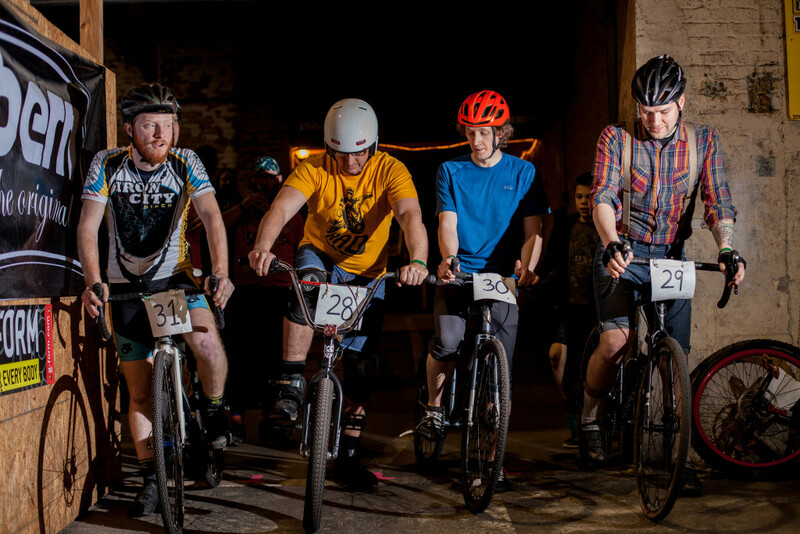 Having BMX riders take part in a cyclocross event is how we can grow the scene locally. 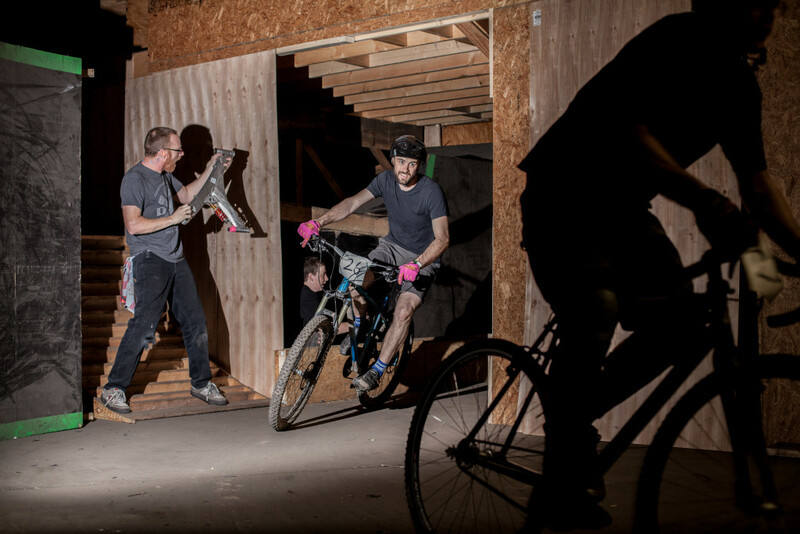 Let’s face it ‘cross racers and BMXers are not that much different, both love to ride, both love fun, it just makes sense.